Spread betting can make you a lot of money. If you’re a competent poker player, you already have most of the skills you need. But don’t ignore the downsides, because you can lose a lot of money. Here are some pros and cons of spread betting. Financial spread betting is a simple concept. You can see a bunch of numbers, and you place bets on whether they’ll be higher or lower at some point in the future. If you can navigate an online poker table, you can figure out online spread betting. In the UK, you don’t pay income tax on your spread betting profits. Like poker, the authorities view spread betting as gambling. This is a huge advantage over buying and selling shares the ‘normal way’ through a stockbroker where you could pay up to 40% tax on your profits. What’s also cool is that spread bets are free from stamp duty, which is currently charged on 0.5% on all purchases of shares. This is because a spread bet is just a bet – no shares actually change hands. Can you cope with volatility? You think you’re used to swings in No Limit Texas Hold’em? Well, spread betting is the king of swing. Spread betting thrives on volatility. When you bet on something, you want it to move sharply because the more it moves, the more you make. However, unless you place a stop loss, you can lose a lot if the market takes a sudden lurch against you. Buying and selling shares is slow. Every time you make a trade, you pay a broker fee of about £10. 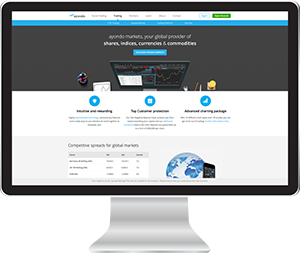 Spread betting has no trading fees, so you can get in and out of trades as much as you like. If you’re somebody who craves action, this is a great feature. Online poker players have to schedule their lives around times they know their favourite tables will be busy. With spread betting you can choose when you want to trade. Most of the spread betting firms are open 24/7, and there’s always something to bet on. You can lose more than your initial deposit. If you deposit $100 with PokerStars, then $100 is all you can lose. But with spread betting, it’s different. Firms like City Index and Capital Spreads will let you trade on margin. They offer you credit, so if you aren’t careful it’s possible to owe your spread betting far more than you deposited. Be careful! You don’t need a huge bankroll to get started. You can make an initial deposit from £100. Yes, that’s a bit higher than the minimum deposit at PokerStars, but £100 is the right amount to give you a good bankroll for you first few trades. With some spread betting sites you can bet as low as 1p on the price movement of shares and markets. Are the markets going up or is everything crashing down? To a spread bettor, it doesn’t matter – you can make money whether the market rises or falls. Shorting is a great process that lets you make money when the market is falling. Should you start spread betting? Spread betting is free from stamp duty. In financial spread betting, as you do not physically own the underlying asset when you enter or exit a trade, you do not presently have to pay stamp duty in the United Kingdom. This means that share spread bets are not subject to stamp duty. Stamp duty in the United Kingdom is presently set at 0.5%, so if you trade a physical stock with a total position size of 10,000 you will have to pay 50. This is on top of any additional fees like commission, registration fees etc. All spread bets are also free from dealing commissions. Moreover there are no other costs like floor fees or data feeds and share registration fees. There is however a widened spread and this makes up one of the main costs of placing a spread bet. No Capital Gains Tax. Profits are also exempt from capital gains tax. If there is one thing that irks all of us, it is the burden of taxes. Unfortunately, there is not much we can do to get away from it. But if you are allowed to get away without paying any taxes on profits you make, then I am sure, all of us would jump at the opportunity. Luckily for us spread betting does not accept Capital Gains Tax. The decision by the current administration to raise CGT to 28% has only served to given an added boost to spread betting on individual stocks. The rise in CGT has hit short-term traders hard making it a notch more expensive to buy and sell shares often. For investors and speculators looking to trade in and out of a market, financial spread betting may be the cheaper choice than shares trading and for wealthy individuals this is even more so as these kind of people tend to be more profitable and thus more subject to higher CGT to trades. single account. At present spread betting is probably the most cost effective way to deal in currencies or commodities markets, or take advantage of price changes in international money markets. Leverage allows multiplication of returns. This ‘gearing’ or ‘leverage’ is an in-built feature of spreadbets which allows investors and traders to make souped-up returns from small movements in the market. For instance, you might easily stand to make a 50 per cent return from a 5 per cent change in the market you’re trading. Since all spreadbets are essentially leveraged (or margined) this means that to open a position you only need to deposit a small percentage of the full market value of your trade. For instance, if you wanted to buy £10,000 worth of XYZ Company shares and you are charged a 5% margin rate, you would only need to deposit an initial £500 to open this position. Of course the leverage also means increased risk if the market moves against your position. Profit from rising and falling markets. Besides the leverage, spread betting allows you to profit from both rising (buy, expecting prices to rise) and falling markets (sell, expecting prices to fall). Tһе capacity tο ‘sell short’ an instrument means that traders can make money when markets are falling. It іѕ tһіѕ feature tһаt һаѕ attracted many disillusioned share investors. For instance, post-global financial crisis, we’ve witnessed a big increase in the number of investors wanting to be self-directed and manage their own investments, which certainly helps the online trading market. Spread betting allows you to take a punt on thousands of markets and all manner of financial instruments from within the same account. You can bet on the price of individual shares, sectors, indices, treasuries, currency pairs and commodities like gold, sugar, cotton and even pork bellies! You can also place a spread bet on an instrument’s future price or option. 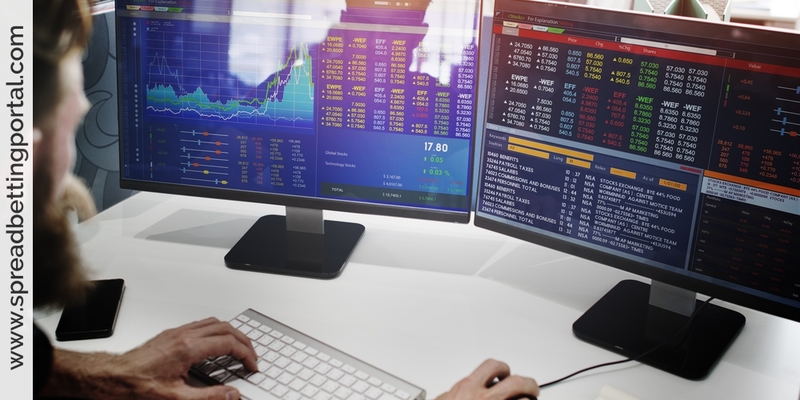 The spread betting provider quotes a buying and selling price for each financial instrument with the difference between the two prices making up the spread, typically about 0.1% of the underlying market. After-hours/24-hours trading. You can basically trade spread bets whenever the market is open and some providers even quote particular markets such as the FTSE 100 or Dow Jones indices out-of-hours. This means that in some case you can place bets 24 hours a day, giving traders the capacity to react to movements on American indices and other major company-related announcements after the British markets have closed for the day. Simple, yet flexible. If you’re bullish on, say, gold’s near-term prospects, you simply do a ‘buy’ spread bet on gold. As opposed to other derivatives products like warrants and options, spread betting consist of simple ‘up’ or ‘down’ directional bets and are not restricted by having to reach a ‘target’ or ‘strike’ price – and rolling daily bets don’t have a set expiry date either which means that you can keep rolling a spreadbet indefinitely (as opposed to a warrant/option which experiences ‘time decay’ i.e. accelerating losses, as the warrant or option’s expiry date draws nearer if its strike price is on the wrong side of a market’s present price). Advanced Risk Management. The problem with spread betting is that you run the risk of losing more than the amount you put in your account in the first place if you aren’t careful with leverage and spread betting provider have devised a number of risk management tools to prevent investors from biting off more than they can chew… One risk protection mechanism that spread betting companies have introduced is called the ‘guaranteed stop loss’ order that is designed to automatically close client trades (at a guaranteed level) should losses reach a certain level. Of course investors have to pay a premium for this service in the form of a wider spread but one advantage of guaranteed stop loss orders is that they remove the need to tie up capital that could be utilised elsewhere. For instance, if you make a controlled-risk bet with IG Index, they will close your trade should the market move against your position by your chosen stop loss limit, say, 50 points. Thus, if you make a £5 spreadbet, all you would need in your account would be £250 to enter the position as your guaranteed stop loss would eliminate the possibility of slippage or market gaps.